Has ZOOEY DESCHANEL Been Cast as 'BETTY BRANT' in the 'SPIDER-MAN' Reboot? Kirsten Dunst dyed her hair red to play Mary Jane Watson, Bryce Dallas Howard went from red to blonde to play Gwen Stacy & now redhead Emma Stone has reverted to her natural golden locks to give Stacy another go around. So who the hell is the effervescent brunette Zooey Deschanel been tipped to play in the next Spider-man movie? Showbiz Spy claim that Spider-Man director Marc Webb is looking to reteam with Deschanel after their MPDG max-out on 500 Days of Summer. Hit the jump for the details. 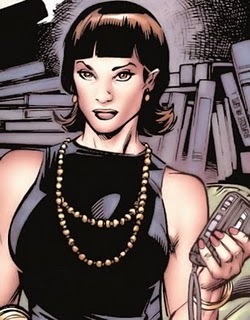 Going against the trend, however, this would mean Webb is looking to cast a dark-haired actress as a dark-haired character – J Jonah Jameson’s PA, Betty Brant, the character who was previously played by Elizabeth Banks in a wig. Depending on how they decide to play this, Brant could be a temporary love-interest for Peter Parker – she certainly was in certain comics at certain times – but I’m not expecting it. I'm reading: Has ZOOEY DESCHANEL Been Cast as 'BETTY BRANT' in the 'SPIDER-MAN' Reboot?Tweet this!